Pftr celebrated their 10th anniversary with the release of this Cd. 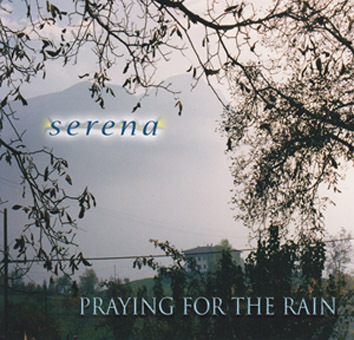 From the opening, the album draws the listener in with its high energy and diversity, using an eclectic mix of sounds, rhythms and ethnic traditions, together with evocative vocals and acoustic instruments such, violin, mandolin, Bodhran, flutes, Khoomii (Mongolian throat singing), Morin hur(horse fiddle), didgeridoo, percussion, guitars and accordion. The themes on this cd explore relationships and how important they are in our everyday life. Sun & moon, father & son, mother & daughter, sister & brother, friends & lovers, how we are to ourselves, to one another and to all that is around us. 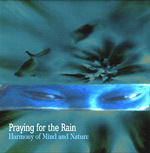 Recorded on one of the busiest corners in the world in Brixton, London, where the vibrant buzz of the city is matched with a celebrated mix of multi-cultural life, this album makes use of samples that reflect that urban landscape, interwoven with haunting lead vocals and beautifully rendered acoustic instruments such as Tibetan bowls, darabouka, didgeridoo, flutes, violin, guitars and accordion. The stories within the songs touch on poignant themes like birth and regeneration and the quest for balance between the forces of mind and nature. Many sounds appear within the music, from the streets of Brixton in Afterglow, to Aurora's heartbeat inside her mother's womb, and the bustle of Algiers as the call to prayer sounds at Bab El Oued. Ancient Evenings is a dream of the past that could be the future. Migration is dedicated to Amos who lives on the Six Nations reserve in the Mohawk Valley near Niagara Falls. He is trying to keep the culture of his people alive through music and the internet. Water from Stone celebrates the Aboriginal people who sing the songlines. All the indigenous instruments used in our music are played with respect, and for the preservation of knowledge for future generations. A collection of songs about spirits and the dance of souls which come together for a brief but wonderous moment. Recorded in Twin Arrows Studios, Enchanted is embroidered with the sounds of the earth. From the didgeridoo on Storm and Celtic Dance, to the mbira (African thumb piano) and cedarwood flute on Light is Fire, the album flows freely between compelling lead vocals and choral harmony. It moves in between the sounds of the East (Mongolian Khoomii) and Indian drone of accordion to a crossing of the Celts inthe violin, played simply over the exquisite acoustic guitars. Enchanted is an album which celebrates diversity and imagines all the rivers of sound meeting in one musical place. Sanctuary is an album for unashamed lovers of the earth (recorded live on a full moon night in St Pauls Church Hammersmith). It is a celebration whose evocative neo pagan sentiments instill in the listener a sense of community spirit and shared enthusiasm. The album is written in story form and uses the influence of world tribal instruments didgeridoo (Australia), djembe (African drum), Khoomi (Mongolian throat singing), Native American flute and hand drum along with more traditional western fiddle, accordion and acoustic guitar to create a truly hypnotic sound. Domenic possesses a beautiful voice which he uses in the manner of a story teller pulling listeners in with his emotional expression. From the energetic opening songs Brand New Car, Who's Afraid of the Dark and Red River Valley to the slower reflective gems What's Happening Now and St. Sebastian's, to the meditative conclusion Dreamland, this is a true internal journey both musical and poetical. The atmosphere in places take one's mind to the solo works of Daniel Lanois, pervaded with the gentle flavours of Love Song, along with the more sinuous Who Am I, Sons and Daughters and Pandora. The first album from the brothers DeCicco mature and romantic, bridged with vitality and energy from the simplicity of acoustic guitar, accordion and the intense voices of the two. Beginning with October Moon they create a warm cajun atmosphere, through to The River, a classic in every sense of the word, powerful vocals and message with a modern gospel feel. Simple rhythmic verses, they sing about love, life and ancestors present, past and future. The concert was a culmination of over a year's preparation and the efforts of a community of artists and technicians dedicated to spirit and cooperation. 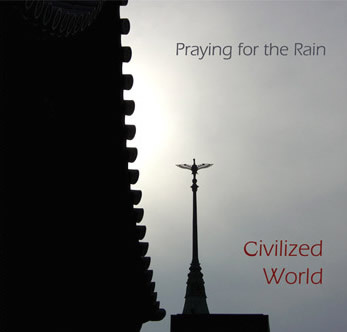 Drawing on the vibrant and creative energy of London, Praying for The Rain and the Songlines choir were brought together for this unique production. Whilst researching and composing the show, we were constantly amazed by the striking similarities that exist between the world's ancient creation myths. The resonant archetypal beauty of those stories reinforced our common underlying philosophy: humankind's desires, aspirations and requirements are essentially the same, flowing as we believe they do, from one initial source.